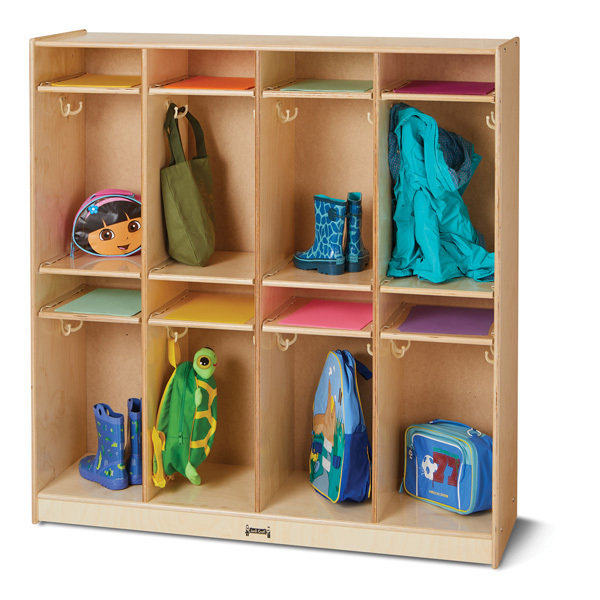 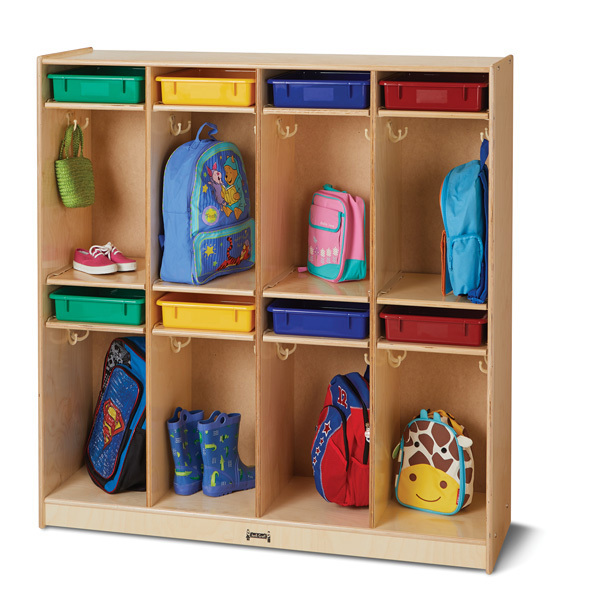 Help kids organize their take home items with this handy locker. 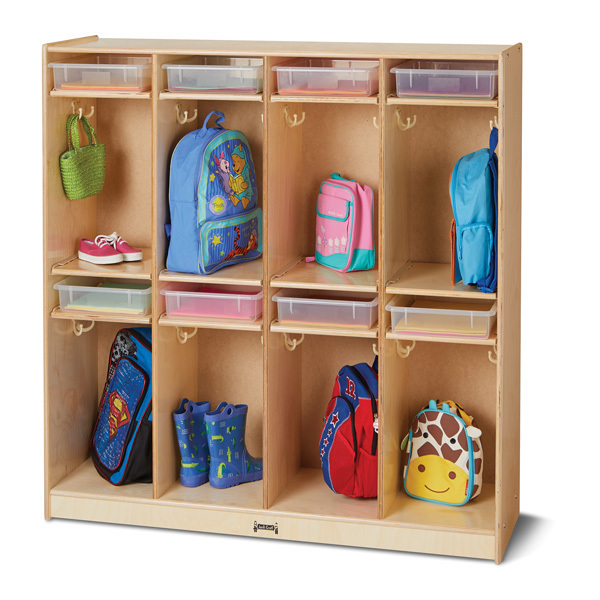 It features eight locker sections, each with a paper-tray slot—perfect for organizing messages and homework—and two double-hooks for hanging book bags, jackets, and more. 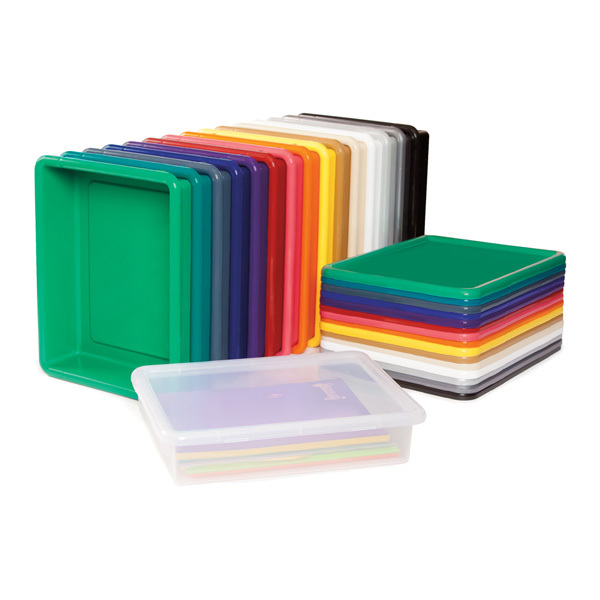 Add paper-trays to keep papers and smaller items contained.